A Drop of water makes ocean. 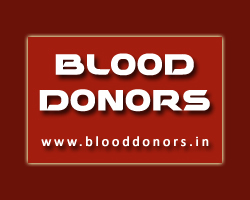 A Unit of Blood SAVES LIFE. KH APOLLO HOSPITAL, MELVIZHARAM. VELLORE DISTRICT. Donating blood may reduce the risk of heart disease for men and stimulate the generation of red blood cells. The amount of toxic chemicals (e.g. mercury, pesticides, fire retardants) circulating in the blood stream is reduced by the amount contained in given blood. The good news is you can give blood again and again to help save more lives! If you're a regular blood donor, you can give blood once in 12 weeks. Following the success of the World Health Day 2000 with the theme 'Blood Saves Lives', 14th June is observed as the World Blood Donors Day. The date coincides with the birth date of Karl Landsteiner, who discovered the ABO blood group system.